Comic Con 2011 is in NYC this week! Oct 12-16th at the Javits Center. I was invited by The Art Hustle team to do a signing for my very own collector trading card from Series 1. This is the first time I have ever been to Comic Con and I must say it ROCKS!!! I need to be up in here next year. The amount of character driver art, merchandise, and collector pieces is unbelievable. I’ve been to the licensing show before but this is definately the place to be, especially for illustrators, and animators. Shout out to my hommie, artist/toy designer/animator KANO who stopped by to support. Great seeing ya! To all the folks I got a chance to build with, and familiar faces that took it back to junior high, Thank you! 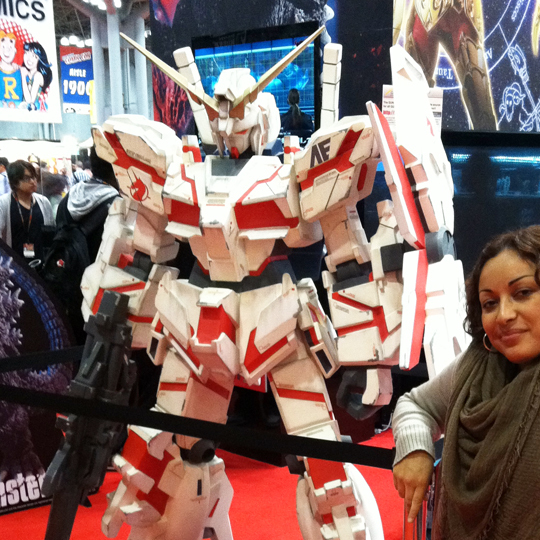 New York Comic Con is the East Coast’s biggest and most exciting popular culture convention. Host to the latest and greatest in comics, graphic novels, anime, manga, video games, toys, movies, and television. Panels and autograph sessions give fans a chance to interact with their favorite creators. Screening rooms feature sneak peeks at films and television shows months before they hit either big or small screens. 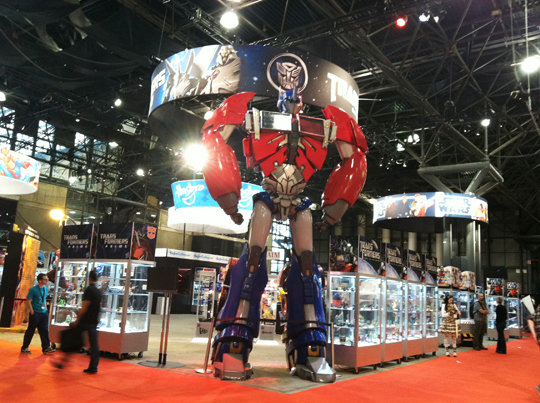 With dedicated professional hours, New York Comic Con is a market place, bringing together the major players in the entertainment industry. New York Comic Con is the second largest pop culture convention in America and the only one that takes place in the comic book, publishing, media, and licensing capital of the world — Gotham City. 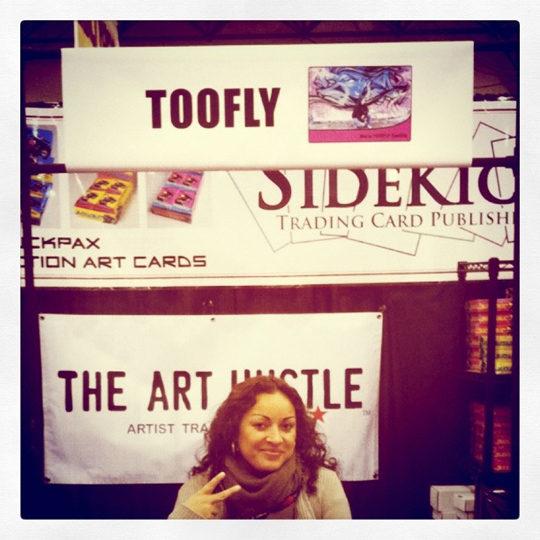 collector Art Hustle Toofly cards signed by artist 2011.